Handmade finds in green! Share the green love! I invite you to come on over and follow my Wordpress blog by email; look in the upper right corner to sign up! Thanks so much everyone for all of your support and comments here and am looking forward to seeing everyone there! Check out my handmade repurposed button jewelry on Etsy! From cute button pendants, unique earrings and rings for everyday to one-of-a-kind statement necklaces and bib necklaces. I love to create colorful jewelry with new or vintage buttons making interesting color combinations that go with casual, modern and retro fashion styles. 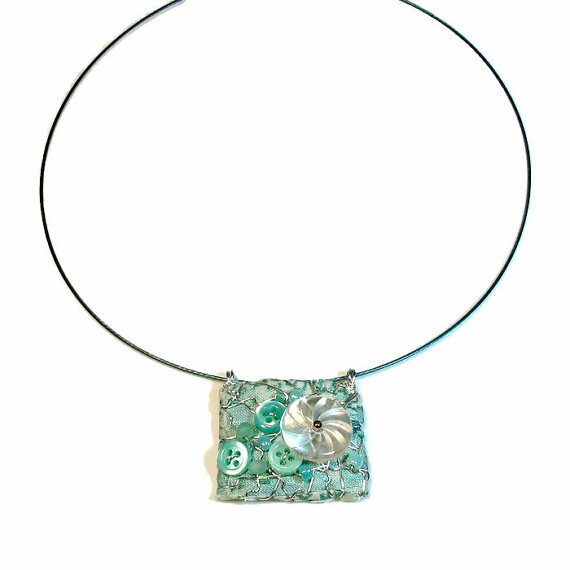 All my upcycled jewelry is super fun, stylish and easy to wear, you will get lots of compliments wearing it too. Be sure to check out my fun button magnets too, they make great gift sets! Which is your favorite? Like the idea of using buttons in jewelry? Comments welcomed below. 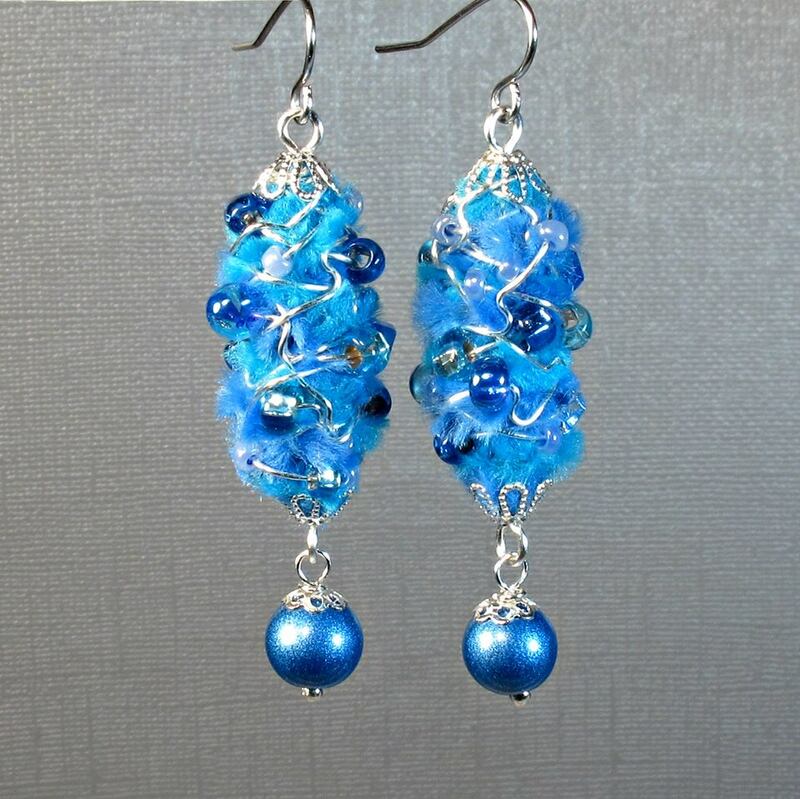 Check out my new line of fabric or fiber wearable art jewelry on Etsy! 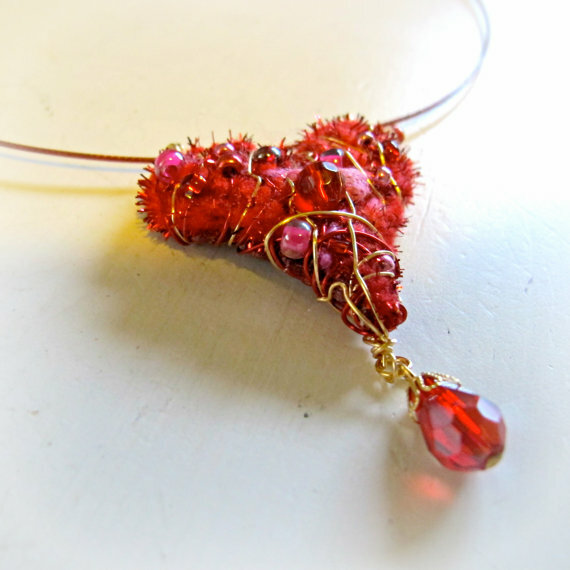 I make these using scrap fabric, ribbon, lace and even pipe cleaners then wrap with wire and sparkly glass beads! 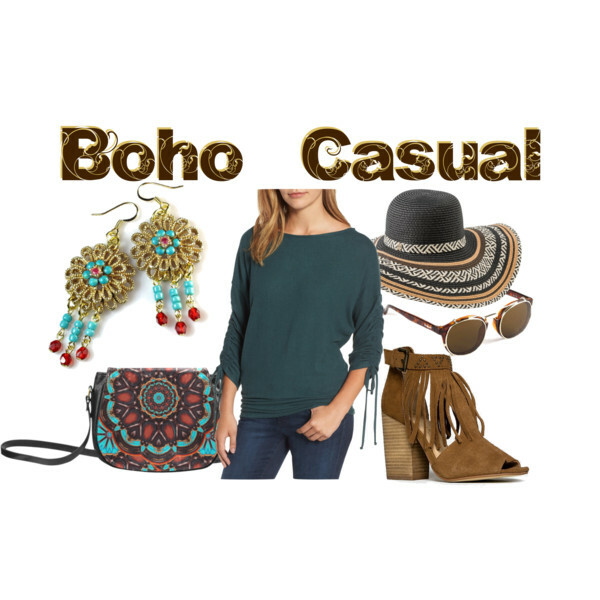 So colorful and loaded with texture, also lightweight and fun to wear! To keep up to date with my new designs please like and follow BluKatDesign on facebook. 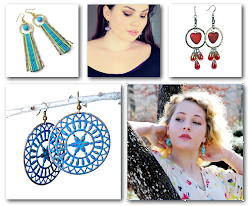 I would love to see your comments on my new line of jewelry below!